I’ve recently been enjoying the books of Scottish author Catriona McPherson . Her first series was the Dandy Gilver mysteries, featuring an aristocratic lady sleuth in Scotland and the books take place after the First World War. Unlike Charles Todd (author of the Ian Routledge mystery novels) and Jacqueline Winspear (The Maisie Dobbs novels) which are set in the same era, McPherson’s heroine moves easily among the upper classes, and sometimes among the people below stairs. She’s helped in her detecting by a handsome young man called Alec…and occasionally hindered by her husband, Hugh. It’s the tone of these books that sets them apart from the others. There’s a lightness to the prose like that of P.G. 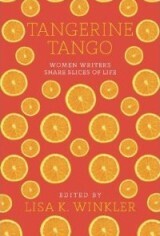 Wodehouse, and a self awareness in the heroine that makes her very credible and likeable. I contacted Catriona to ask her a few questions about her work. GC: On checking out your bio, I found that you had a strong background in academia. What made you switch to writing mystery novels? I did an MA and then a PhD and worked as a university lecturer for five years. In that sense, you’re dead right. But the thing is, I was a hopeless and miserable academic. I loved my subject – linguistics- and loved teaching the students, but it wasn’t my world. My PhD supervisor and good friend, Ronnie Cann, always said my thesis was as close as you could get to a science fiction novel and still be awarded a degree for it. I had always wanted to write stories. But for one, I thought working-class kids from small Scottish towns didn’t burst out and become writers. And for two, when I told a careers adviser I wanted to write (I was fourteen), she scoffed and told me not to be so daft. I was a clever girl, she said. I should stay on a school and make something of my life. So I stayed on at school until I was thirty five. What a chump. She didn’t even have to say anything. She just looked at me. The light bulb came on. I resigned and started writing. But seriously, what a chump. GC: How did the character of detective Dandy Gilver come to you? CMcP: She arrived fully formed the day I started planning to write a crime novel. I had to decide where she lived, what she was called and who her friends and family were, but Dandy herself just turned up. Where from? The answer to Q.1 tells you she’s not me, right? she’s posh, English, dark-haired and a dog-lover. I’m unposh, Scottish, “blonde” and – here’s the clincher – a cat-lover. On the other hand, one of my favourite descriptions of Dandy comes from a Guardian review “brisk, baffled, kindly, heroic and – above all – very funny.” I’ll admit to brisk and baffled, and I aspire to the rest, so maybe she’s sort of me. We’re both tenaciously logical and passionate about truth and justice too. That helps no end with solving cases and with plotting novels. GC: I would say that the Scottish settings of the Dandy Gilver novels add a great deal to the reader’s enjoyment of them. What made you switch to the North of England? Is that an area you know well? The reason As She Left It is set in Leeds? The University of Leeds was where I worked for those five unhappy years and I adore Yorkshire people. Still miss being called “love” by strangers. And the real-life incident that set the story going happened in Leeds: I met that little old lady, in her apron and slippers, looking for the party, and took her home. I should say, even though Opal’s house in the book is my friend Diane’s real house in Leeds, none of that stuff happened there. But the bed’s real. GC: Opal, the main character (among several other memorable ones) in As She Left It is a world away from Dandy. What is your favorite thing about her? CMcP: I love Opal! She has had a tough life so far but she’s not hardened by it or broken. She’s got her tender spots – places she doesn’t go – but she’s fierce and brave and she cares about the people around her. Also, I love her haplessness. She’s like an anti-diplomat, charging in with the best of intentions and getting thing calamitously wrong. But what a good heart. It was very refreshing writing a character who’s never careful. GC: I know you have a new novel coming out next week. Could you tell us something about it? 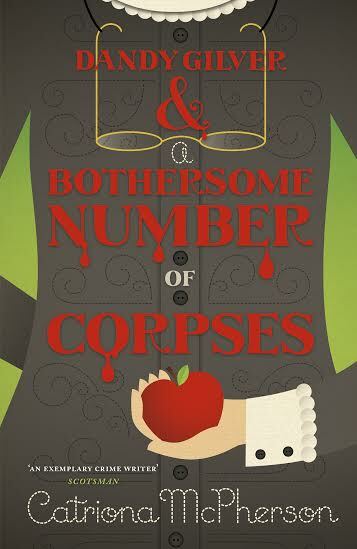 CMcP: Dandy Gilver and a Bothersome Number of Corpses is coming out in the US on the 19th of November. It appeared in the UK last year. In it, Dandy is undercover as an English mistress in a girls’ boarding school in Portpatrick, where teachers are vanishing (five) and bodies are piling up (four). That mismatch is what makes the number of corpses bothersome. And I’ve just finished the edit of Dandy Gilver and the Reek of Red Herrings (trouble and strife in an Aberdeenshire fishing village) which is slated for June 2014 publication in the UK. There’s also the second in the modern stand-alone strand. A follow-up to As She Left It, although not a sequel. 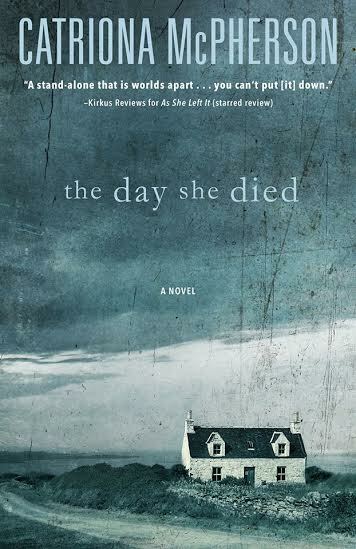 That one, The Day She Died, will be out in May 2014. It’s the story of Jessie Constable – a survivor – whose careful little life gets turned inside out and upside down by a sudden death and the appearance of a stranger. I love Jessie just as much as I did Opal and there’s a gallery of secondary characters – toddlers to elderly Irish priests – that are now my friends for life. GC: Will these be available in all formats? CmCP: The Dandy books appear in the most traditional way: hardback followed six months later by paperback and (these days) eBook. 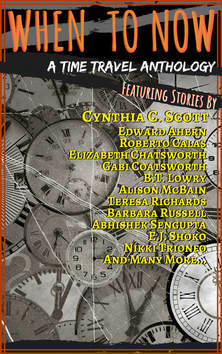 The stand-alones come out as trade paperback and eBook simultaneously. GC: Now that you’re living in California, do you have any plans for a book set there? Hm, it took me ten years after leaving Leeds to set a book there, so California might not figure very soon. There is an idea for a mid-twentieth-century suspense thriller (possibly a series) but it’s the faintest whiff at the moment. Like smoke from a distant bonfire. One thing I think I can guarantee is that Dandy Gilver will never get in a wagon and roll west. At most, she might take a luxury liner to New York (how I’d love to do that research!) but I think Inspector Morse should stay in Oxford, Miss Marple belongs in St Mary Mead and Dandy Gilver should be tramping about rural Scotland in the plotching* rain. GC: * I have to admit I didn’t know the word plotching, so I asked Catriona what kind of rain this was and here’s her answer: heavy, windless, downpour, plopping off leaftips and drumming on roofs! The Scots have a word for everything! Thanks for the suggestion- I love a good British mystery, especially when I’m traveling there– love ones set in London and near places I’m familiar with. Love Ruth Rendl/Barbara Vine. I agree – I love a book set in the place I’m visiting. So many Scottish crime novels fall into the Scottish Noir category (which I also enjoy) that the Dandy Gilver books offer welcome relief!